Keith turns seventy today. 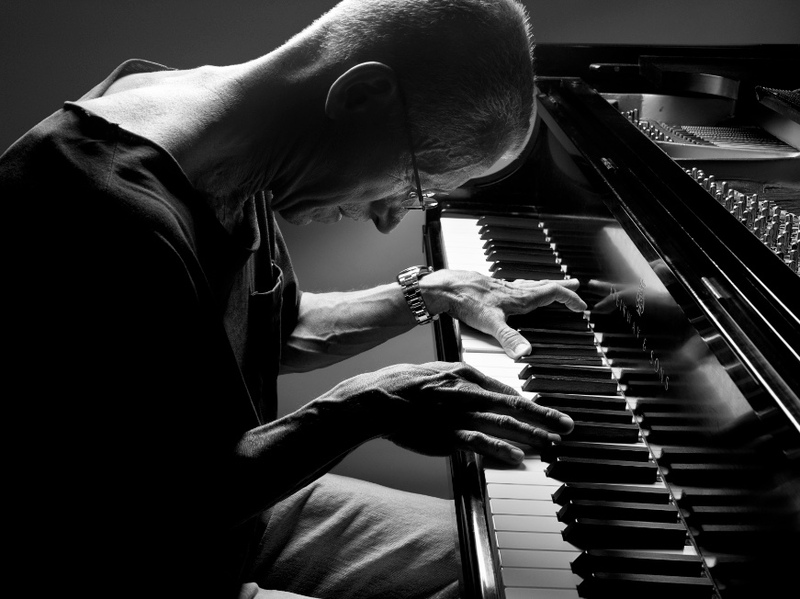 For those reading this who are not familiar with him, Keith Jarrett is an American treasure, and one of the most important musicians alive today. He is among the most accomplished improvising musicians in history and we are fortunate that we live in the age of recording technology: we have a voluminous record of his career spanning nearly five decades that catalogs his development as an artist, as well as many of his experiments and side-projects. In addition to his stature now as senior jazz statesman, Keith is also an accomplished performer of classical music, with many recordings of Bach and Mozart, etc. as well as music of 20th century composers (including himself) to his credit. I realize that beginning a post with superlatives is contentious, but considering Keith and his life as a musician, it seems fitting to me – he has been nothing if not controversial. Through his entire career Keith has very much followed his own path, refusing to compromise on his ideals even to his own detriment. Looking back on his career as he enters his eighth decade, I am not familiar with any other pianist who has accomplished such profound music-making as both jazz and classical artist. I am aware of no other musician of any genre or instrument who has filled concert halls consistently for decades with audiences who come to hear completely improvised solo concerts, led several acclaimed jazz ensembles including the longest lived (more than 30 years) and most respected piano trio still performing today, and devoted a substantial amount of time (more than a decade) and energy to recording and performing classical music, as a soloist and concerto performer, and as a composer. There is nobody else who has done this, nor done it so well, nor for so long. Keith is familiar to many from his album The Köln Concert, released in 1975. This live concert recording – originally released as a double LP on vinyl – is the best selling solo piano album of all time in any genre, with sales to date of over 3.5 million. It has been noted by many that this is especially remarkable for a double album that features no familiar songs or tunes. By the time this album was released Keith had already been performing improvised solo concerts for several years – booking concerts at venues traditionally only used for classical performances, and spontaneously playing in response to what he experienced when he came on stage, without conscious preparation. 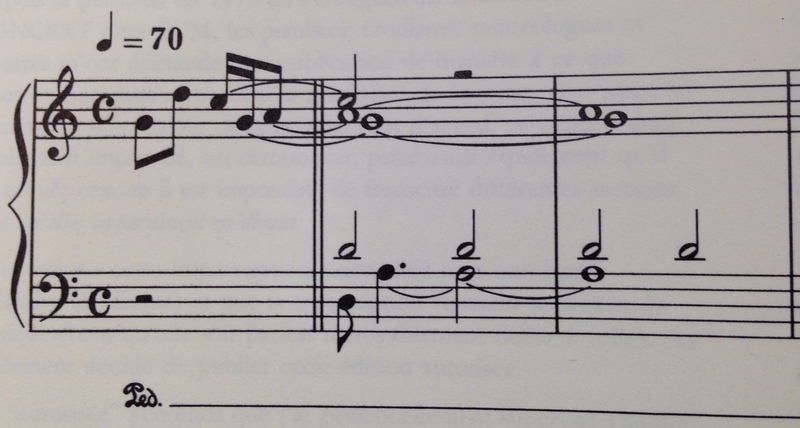 The opening of The Köln Concert, from the 1991 transcription by Yukiko Kishinami and Kunihiko Yamashita. The first five notes mimic the chime heard at the Köln Opera House to announce that a performance is about to begin. Keith’s sold-out concert there on January 24, 1975, began at 11:30 pm after an opera performance. In fact it is Keith’s practice to try to “empty his mind” – I have always assumed by this that he means that he meditates – immediately before the performance begins. 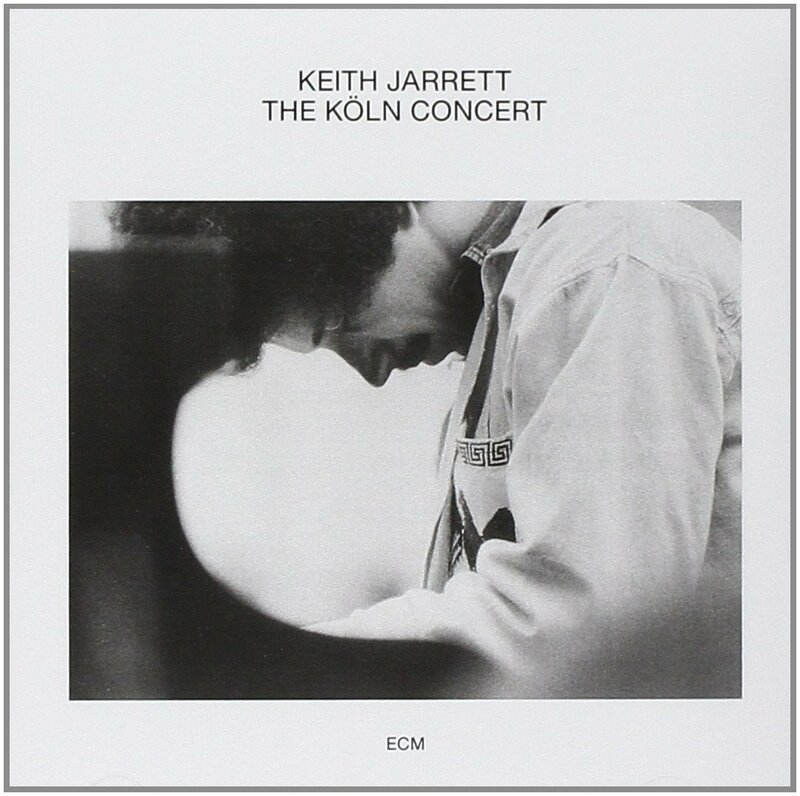 He has been performing solo concerts on this format for more than forty years now, and the recordings of some of these that ECM has released over the years provide the astounding account of what amounts to Keith’s personal quest to penetrate to the heart of music itself. I first heard Keith perform when I was a teenager. My parents had season tickets to the Syracuse Symphony, and were unable to go to the concert featuring the world premiere of his piano concerto The Celestial Hawk, so they gave their seats to me and my sister (thanks Mom and Dad). I do not recall the exact date but it must have been in the winter of 1980 – Keith recorded the work with Christopher Keene conducting the Syracuse Symphony at Carnegie Hall in March of that year. At that time I was mostly interested in progressive rock music by bands like Yes, Genesis, Pink Floyd, etc. A couple of weeks before the concert my mother tried to get me a copy of The Köln Concert (to “prep” me for what I would hear) but the record store was sold out of it, so instead she brought home a copy of Staircase (1976), a double album of improvisations recorded in the studio. This album was my first impression of Keith’s music – I was spellbound. I have listened to that album so many times in so many settings over the years that it has become an integral part of the “soundtrack” of my life. I still think the piano sound that Manfred Eicher got on that album is the most beautiful I have ever heard on a recording of any kind, and in particular I find Hourglass, Part II to be one of Keith’s most moving improvisations. The Celestial Hawk made a deep impression on me, and I did get a copy of The Köln Concert shortly afterwards, followed by the three disc Solo Concerts: Bremen Lausanne, and eventually every LP Keith had recorded that I could find, transitioning in the 1980s to compact disc recordings. As a teen my own focus as a musician was my piano study, so it was very natural to find in Keith’s playing, in his extraordinary feats of improvisation as a solo artist and in the music of his American and Scandinavian quartets, a voice that spoke to my own ideals as a musician, which ran counter to the emphasis on jazz/rock fusion that was current at the time. As I grew older and my musical inquiries began to focus more on classical music, expanded to include the old instruments and their repertoire, and my activities concentrated more on teaching and conducting, I continued to follow Keith’s career, attending concerts when I could. In 1984 I heard him perform a recital of works by J.S. Bach, C.P.E. Bach, Scarlatti, Beethoven, and Shostakovich in Los Angeles, and I was fortunate to live in New York City in the 1990s and had the opportunity to hear Keith play several solo concerts at Avery Fisher, and one Standards Trio performance at Carnegie Hall. I have only been able to hear one live performance in the last twenty years however – my wife and I drove our family from Nashville to Atlanta to hear the trio perform at Symphony Hall there on September 4, 2005. And so – like most people – it is mostly on recordings that I have been able to listen to Keith’s music. Keith was very fortunate to meet Manfred Eicher early in his career (the reverse is also very true), and Eicher and his ECM Records have done a tremendous job of chronicling Keith’s multiple projects as well as many experiments – allowing Keith artistic free rein – since Facing You in 1971. Of his major efforts as a soloist and bandleader, only the work of the American quartet with Charlie Haden (bass), Paul Motian (drums), and Dewey Redman (sax) appeared on other labels (Atlantic and Impulse!). Keith has recorded almost exclusively with ECM since 1976, with the exception of a few classical recordings for other labels. Facing You is a kind of blueprint for the solo piano concerts that were to come later. In a highly focused way, it defines the areas of interest: the American roots such as the blues, hot gospel, country music and boogie-woogie, and also the romantic melancholy of the European classical tradition to which, of course, the piano is central. In particular there are potent glimpses of his melodic and rhythmic gifts: the dynamically sustained left-hand rhythms and the free-flowing right-hand lines which move through bar lines and across the rhythms with a looseness and deftness that were and are unparalleled. The solo concerts were to develop these themes and others through the 1970s, and in the decades to follow would take on and transform aspects of the styles of music he was exploring in other avenues of his career. For instance, the Paris Concert, recorded in 1988 at Salle Pleyel, contains contrapuntal textures to an extent not evident in the early solo concerts; Keith had just recorded the Book One of J.S. Bach’s Well-Tempered Clavier the previous year and was preparing to record Book Two (1990) and The Goldberg Variations (1989). In general, Keith’s unpremeditated solo concerts stretch the “jazz” label far beyond the kind of music the word was ever meant to describe, or are simply not jazz at all. Over the years the solo concerts have restlessly continued to break new musical ground, in some ways becoming more abstract and challenging for the listener. Since 1983 Keith’s primary collaborative venture has been the Standards Trio with Gary Peacock (bass) and Jack DeJohnette (drums). To date they have released some twenty recordings of American Songbook tunes and jazz standards – most of these recordings are pristine, hard-swinging and virtuosic readings of both familiar and off-the-beaten-path selections in a traditional jazz vein, although occasionally there have been some more free improvisational departures. Keith, Gary, and Jack have what seems like telepathic rapport and play this repertoire with an unrivaled fluency. As they have gotten older, it is also clear that they have derived a lot of mutual support – the solace of true musical peers – from their work together over the years. Keith developed chronic fatigue syndrome in the late 1980s and struggled with this through much of the 90s, eventually concluding the classical side of his career with two sets of Mozart concerti recorded in 1994 and 1996, including K. 271, 453, 466, 467, 488, and 595. He has continued to tour and record both solo and with the trio every year, although he has been slowing down for the last decade – in 2014 he performed ten solo concerts and only two dates with the trio. Like many jazz musicians, Keith has a more devoted audience abroad than at home, and most of his concerts take place in Europe or Japan (where he has an especially large following). 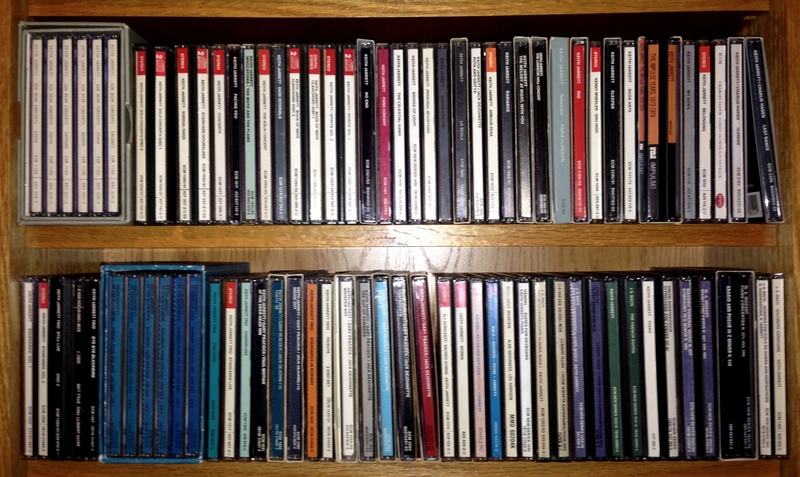 There are so many sublime moments in Jarrett’s extensive discography…Keith’s swinging, soaring solo over six choruses of Bye Bye Blackbird on At the Deer Head Inn (1991) with Gary Peacock and Paul Motian…his touching and perfectly paced rendition of Too Young to Go Steady from Standards Live (1985) while Jack rumbles, rattles, and boils away on toms and cymbals…the incredible ragtime virtuosity of Wrap Your Troubles in Dreams on Whisper Not (1999)…the amazingly consistent Keith Jarrett at the Blue Note: six discs capturing six sets over three consecutive nights in 1994…the most intimate piano recording I know is The Melody at Night, With You, which Keith recorded himself in his home studio in 1998…the Scandinavian Quartet’s two superlative studio dates, Belonging (1974) and My Song (1977) (how I wish they had recorded more)…there is something inexplicably and mysteriously moving to me about the solo concert recorded in Kyoto, and in fact this recording along with the other four Sun Bear Concerts recorded in Japan in November 1976 (originally 10 LPs, now 6 CDs) are among the most treasured recordings in my CD collection…I still find Keith’s (piano) recording of The Well-Tempered Clavier, Book One (1987) to be the most consistently focused and beautiful reading of the preludes and fugues I have heard…the lush recording of Sebastian’s 3 Sonatas for Viola da Gamba and Cembalo he made on harpsichord with Kim Kashkashian (viola) in 1991…the continuo realizations (on harpsichord) for the disc of G.F. Händel: Recorder Sonatas he made with Michaela Petri (recorder) in 1990 are just about the most musical I have ever heard, despite the punishing tempi they chose to play these pieces at…the unique Spirits (1985) two discs which Keith recorded at home, multi tracking on an assortment of mostly wind and percussion instruments, and the equally unique yet utterly unlike Book of Ways (1986) a two-disc collection of clavichord improvisations…there are so many more. What Keith has demonstrated over the last fifty years, with surpassing virtuosity, is that the limitations and categories that we impose on music, and by inference, on life itself, exist only in our minds. Beethoven (another gifted improvisor) was famously quoted as saying that “Music is a higher revelation than all wisdom and philosophy” and it is the pursuit of this revelation that Keith has striven for relentlessly throughout his career. The power of music to transcend language and point directly to the experience of this moment, in which we live, with all its ecstasy, misery, and hope, is the beauty and the very heart of Keith’s art, and I need it. Thank you Keith, and Happy Birthday. By walterbitner in Baroque, Jazz, New Music, Piano & Harpsichord on May 8, 2015 .